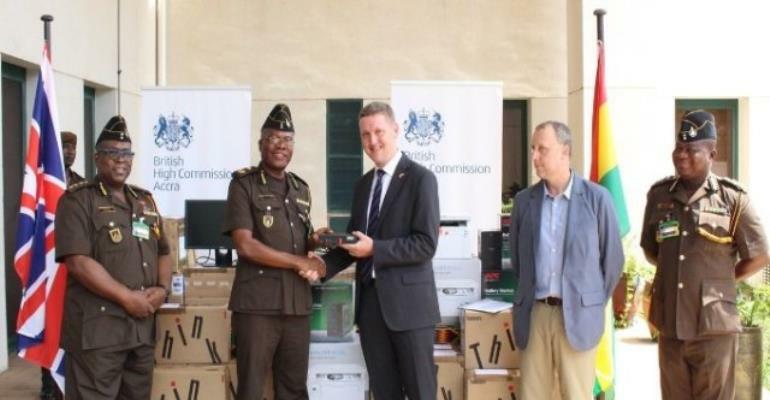 “The interconnectivity of the system across all 43 estates in Ghana will make criminal data easily accessible for judicial, administrative and research purposes,” the British High Commissioner, Iain Walker has said. The High Commissioner also stressed on the partnership that the UK government has with Ghana and the need to nurture it to enhance development for both countries. The Deputy Director of Prisons in charge of Operations, Sylvester Rabbles, in his acceptance remarks, said, “…Apart from supporting the easy gathering, storage and accessibility of data, the transfer of knowledge to 200 officers across all the prisons estates in the usage of the system will also contribute to its sustainability as well. “These officers will become the core group to train others in how to manage the system. This innovation will go a long way in supporting Ghana’s criminal justice system”. In a related development, the British High Commission in March, organised a two-week training workshop from March 7-21, 2019, on Human Rights and Prisons Management to 180 prison officers. The training falls in line with the High commission’s Capacity Building Project for the Ghana Prisons Service and was facilitated by Axiom International–UK and aimed at enhancing skills of prison officers in human rights and modern prisons management techniques. This training adds up to the numerous projects undertaken by the British High Commission for the Ghana Prisons Services and forms part of a four-stranded project to strengthen the institutional capacity and prisoner management of the Ghana Prisons Service.